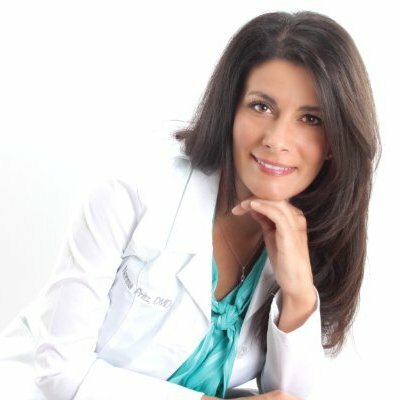 Dr. Norma J Pritz graduated from University of Nevada, Las Vegas earning a Bachelor of Science degree in Biology, with a minor in Chemistry. Continuing her passion for dentistry, she received her Doctor of Dental Medicine from UNLV School of Dental Medicine. Her clinical practice focuses on all aspects of general dentistry including, restorative, cosmetic, reconstructive, and family dental procedures. Dr. Norma J Pritz is passionate about creating beautiful smiles that improve her patients’ self esteem and strives to provide the highest standard of care for each and every one of her patients. She is a member of many dental organizations, including the American Dental Association, Southern Nevada Dental Society, Nevada Dental Association, American Association of Cosmetic Dentistry and Academy of General Dentistry. Dr. Pritz enjoys providing quality surgical and dental services for underprivileged children and adults in various countries throughout the world, as well as within her community. She has been privileged to provide much needed care in Haiti, Tonga, Huntridge Teen Clinic, Give Kids a Smile, Children’s Clinic, Project BDG and with has worked with organizations such as Flying Doctors, Remote Area Medical and Medical Relief International. Dr. Pritz loves spending time with her family and friends, taking her Shiba Inu to the dog park, hiking, snowboarding and traveling. Cleaned teeth really well and quick and fast as well. Would recommend! I've been coming to this location for a year and half, the staff is very friendly and informative. Affordable Dental has eased my worries about going to the dentist. Very nice, they made me feel very comfortable and they're very helpful with everything I need. Dr. Pritz is always wonderful, pleasant, kind, very informative and does wonderful work. have been a patient for a few years now. never have a problem, always keeps appoints to time. The staff is great as well, Susie, Becky, and the entire office, Thank you for all you do. Affordable dental takes care of our family for quite some time now. Definitely recommendation to other families ! Thank you so much Affordable dental team!! Great reception as well as caring Doctor's and Hygienist. Awesome. was always afraid of visiting the dentist. But today's visit changed me for ever. 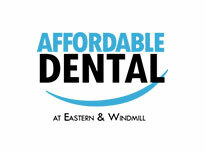 The staff at Affordable Dentist make you fell so relaxed and treat you with the most caring service . They are very informative and explain to the smallest detail every step of the way. They are the best dental office by far. Thank you all. The staff was great. My DDS was very thorough, pleasant and found periodontal issues that my previous DDS did not diagnose. I will be returning for all my dental needs. Thanks for being available on Saturdays as well.